Family devastated after Colten Boushie shot and killed on farm near Biggar, Sask. 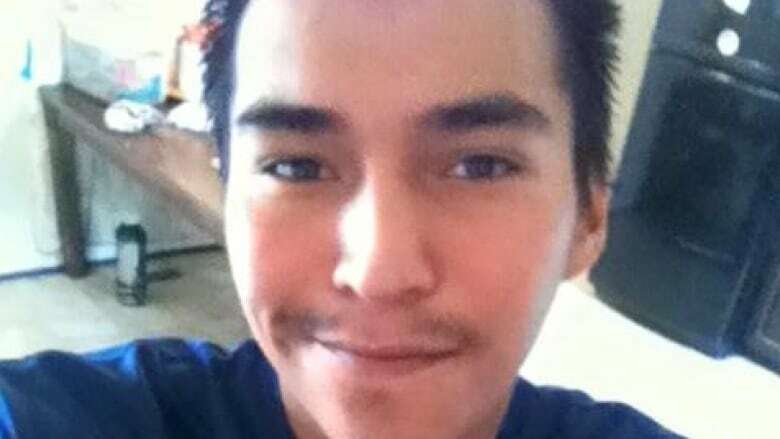 The uncle of 22-year-old Colten Boushie says his family is devastated following the man's death from a gunshot wound near Biggar on Tuesday. The uncle of 22-year-old Colten Boushie says his family is reeling following the man's death from a gunshot wound on a farm near Biggar, Sask., on Tuesday. "He was a very respectful and helpful individual and all of a sudden to take this person away from us is devastating," said Boushie's uncle Alvin Baptiste Sr.
Boushie lived on the Red Pheasant First Nation. "My sister is in denial right now about it. She doesn't believe it. She feels like he's still around, still alive and he's going to be coming home anytime. Once she starts to see the casket and the body that's when it's going to fall apart for her." RCMP have charged 54-year-old Gerald Stanley, who is from the Biggar area, with second degree murder. RCMP say a vehicle with five people in it entered a farm on Tuesday around 5:30 P.M. CST. The property owners did not know the occupants of the vehicle. According to police, a verbal exchange happened and a shot was fired, striking a man in the vehicle. Boushie died before emergency crews arrived. His uncle says he was shot in the head while he sat in the back seat of the vehicle. Boushie's uncle said his nephew's girlfriend was in the vehicle at the time of the shooting. According to Baptiste Sr., that afternoon Boushie, his girlfriend, and three friends went swimming and drinking at Ranger Lake. He says they experienced a problem with a tire on the way home and that's why they were on the farm. "They were riding on a rim and pulled into that farmer's yard to see if they could get any help with the vehicle," said Baptiste Sr. The RCMP arrested three people inside the vehicle as part of a related theft investigation. They've since been released from custody. Police said some charges related to property offences are still being considered. Stanley appeared in provincial court in North Battleford Thursday morning. The matter was adjourned to August 18. Colten Boushie's funeral is Saturday on the Red Pheasant First Nation.